The Tomich Lochs are a group of hill lochs on Guisachan Estate at the head of Strathglass, lying above the village of Tomich at an elevation of around 1000ft (300m). The lochs are renowned, and have a long history of sport, and careful management and conservation, going back to Victorian times. 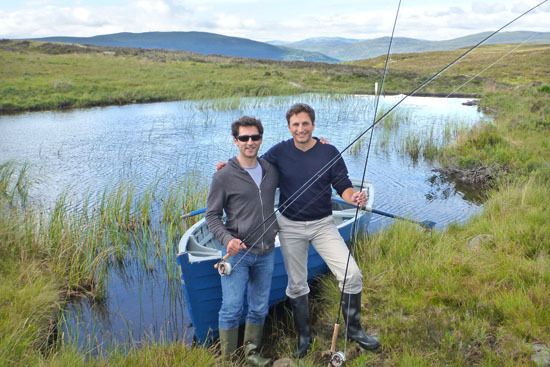 Today, the lochs are usually only fished by guests of the Estate, but TroutQuest has exclusive arrangements with the owners allowing us to take guided parties there. The lochs enjoy stunning views to the west and the hills above Glen Affric, though the recent upgrade of power lines has interrupted the vista. Nevertheless, this is a fantastic wild hill loch experience with the chance to see red-throated divers, ospreys, and both golden and sea eagles. 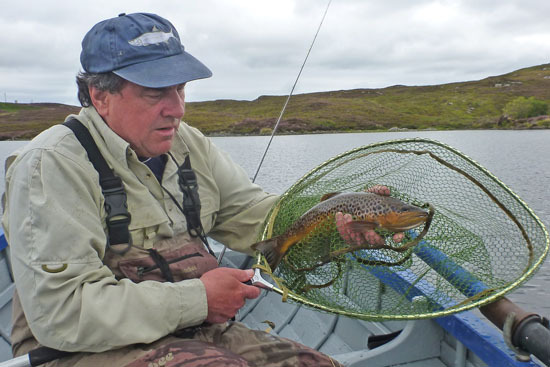 Although several lochs make-up the ‘Tomich Fishings’ the main fishing is on Loch a’ Ghreidlein and Beinne Moire. Loch a’ Ghreidlein, or Gretal as it is known, is a small, shallow loch of about 7 acres (3 Ha. ), with a mainly soft marl bottom. The water is unusually nutrient-rich for a Highland hill loch, and has extensive aquatic vegetation; a rich environment for invertebrates and crustaceans to thrive. 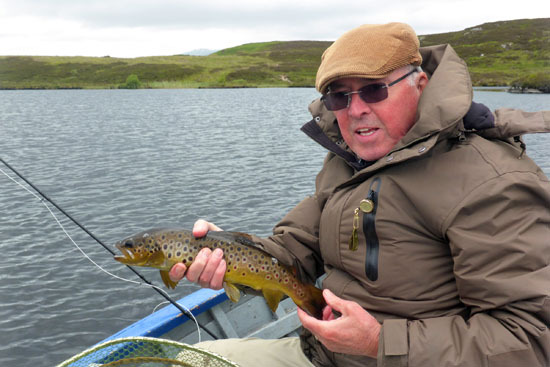 Hatches of sedges and olives (mayfly), can trigger fantastic surface rises, so this is a loch which can fish well to both traditional and modern stillwater tactics, and the dry fly fishing can be sublime. In addition to olives and damsel fly nymphs, shrimp, snails and sedges (caddis) are abundant, so there is good feeding subsurface and on the bottom, which shouldn’t be ignored. 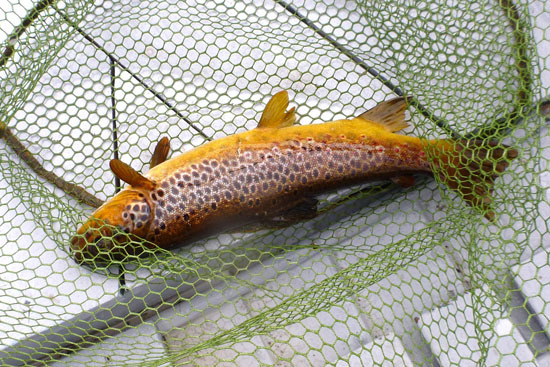 Gretal trout are of exceptional quality, typically ranging from 1-2 lbs, but specimen trout of 4lbs or more are also caught occasionally. Beinne Moire is more of a 'classic' hill loch. Cut into peatland bog and heather, it is deeper than Gretal and the peat-stained water means the bottom is rarely visible. The loch’s area is about 20 acres (8 Ha.) in total comprising a main bowl, and a shallow, sinuous weed-lined 'tail' that extends northwards for over 400m to the loch’s outflow. 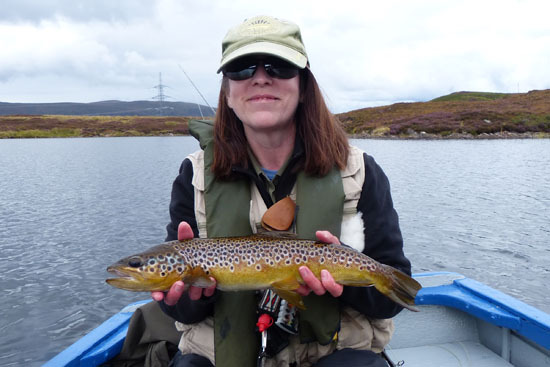 The loch is not as rich as Gretal, but there are still good hatches of midge and sedges, and muddlers and dry sedge patterns can be extremely effective depending on the wind/wave state. Terrestrial insects also play a very important part in the trout’s diet here, so a wide range of traditional Scottish wet fly patterns will work, and it can pay dividends to fish to the very edge of the loch, along the reed margins and even under the overhanging heather. 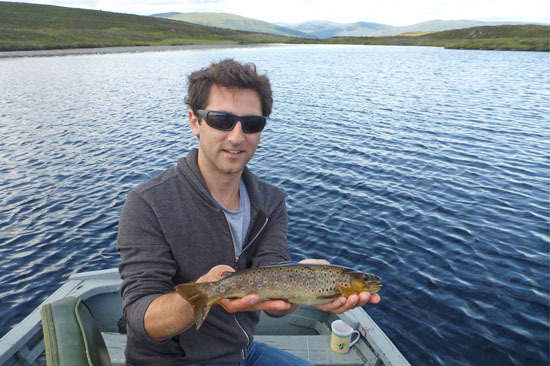 This short video from our TroutQuestTV channel on YouTube is of a day excursion fishing on Loch Gretal at Tomich.